This summer, Utah state food inspectors suspended Ropelato Dairy’s license to sell raw milk after dozens of people became sick after drinking the campylobacter contaminated milk. Raw milk is milk that has not be pasteurized to kill harmful bacteria such as salmonella, listeria, E. coli, and campylobacter. 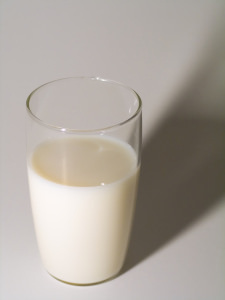 Other products such as cream and queso fresco can also cause foodborne illnesses if they contain contaminated raw milk. Those sickened ranged from age 2 to 74 and included people in Davis, Cache, Morgan, Salt Lake, Utah and Weber Counties. Campylobacter, or campy, causes diarrhea, abdominal pain, fever, headache, nausea and vomiting. The illness is particularly dangerous for young children, the elderly, or those with weakened immune systems. In severe cases, it can lead to complications such as paralysis and death. A difficult problem is that raw milk contaminated with disease-causing bacteria does not look or smell any different than uncontaminated raw milk. Therefore, there is no easy way for consumers to know if the milk is safe. Since 2009, there have been 14 documented outbreaks of campylobacter infection associated with drinking raw milk in Utah alone. This resulted in over 200 people becoming ill. A study released by the the Center for Disease Control and Prevention found raw milk to be 150 times more likely than pasteurized milk to cause illness in those who consume it. As a Utah lawyer who handles foodborne illness cases, I have assisted many people to recover financially from those responsible for selling contaminated products. If you or a loved one have been sickened in a foodborne illness outbreak in Utah, feel free to contact me at The Faerber Law Firm, PC for a free consultation.